We’re home! 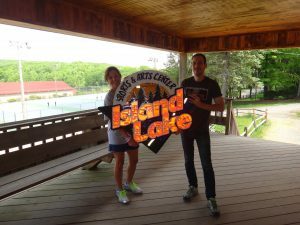 We’re so excited to tell you that we’re finally back home at Island Lake and it feels wonderful to be here! All of our pre-camp staff have arrived and are already working hard to make camp look beautiful for summer. All of us at ILC are so incredibly pumped for a fantastic summer 2016. The only thing missing,…our campers! We know our parents are busy preparing their kids for ILC this summer so just a bunch of reminders. For those of you with outstanding balances or with forms not yet returned, please send everything directly to the camp address (Island Lake Camp, 50 Island Lake Road, Starrucca, PA 18462). The office is now open Monday through Saturday from 8:30am-5:00pm with a lunch break from 12:00-12:45pm. Once camp begins the office will be open daily from 9am-9pm. All Medical Forms must be filled out completely by parents and physicians and then mailed to us here at camp if you haven’t already done so. We must have an updated Medical Form for every child prior to his/her arrival here at camp. Profile Forms are helpful to our staff if there’s anything specific you’d like us to know about your child ahead of time. If there are specific activities you’d like us to encourage then you must fill out this form ASAP via your CampMinder account. We must have pertinent Profile Form information prior to our campers’ arrival. The deadline was May 1st so if you haven’t yet filled out this form, please do so immediately. Our packing list, equipment list, handbooks, policies, and in general, all important summer information can be found right here on our website under “Families” and then “Forms & Mailings.” Be sure to print them out and read them all to make sure you’re well prepared for summer. As always, if you have any questions about packing or anything else related to camp, feel free to call us here at camp at 570-798-2550, Monday through Saturday from 9-5. As of today, only 26 more days until camp begins! ILC U HERE!!! With summer right around the corner, many parents have started their camp shopping and packing. We know this can be an overwhelming process, especially for the new Island Lake parent. Please be sure to use our packing list and equipment list as guidelines to help you pack up your children’s duffels for this summer. Below are the links to the forms here on our website. Happy packing and as always, if you have any questions, feel free to contact us. ILC Ur children in less than a month and a half! Summer 2016 is right around the corner! 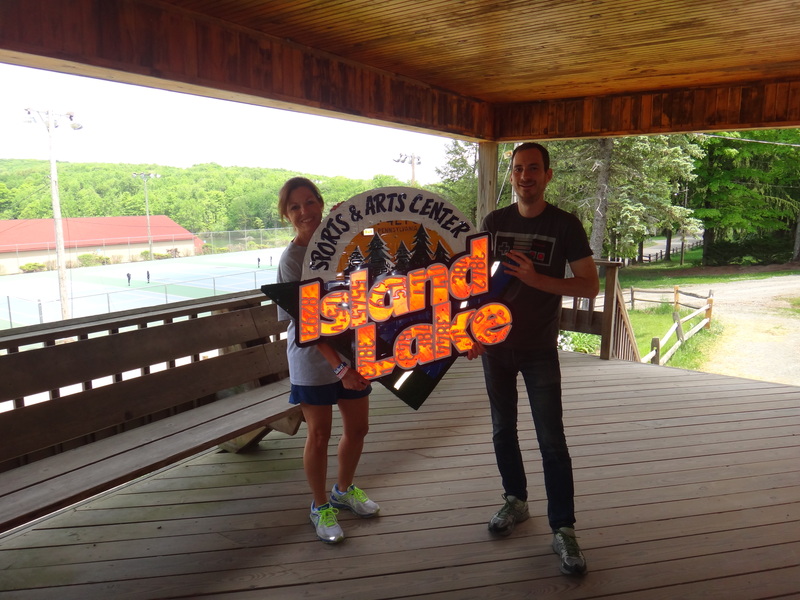 As of today, May 10th, according to our Island Lake website and app we have only 46 more days until camp begins! Excitement is building as the thrill of summer approaches! We move our offices up to camp the last weekend of May so as of May 30th, all correspondence should go directly to our summer address in Starrucca, PA.
By now, all new families enrolled for summer 2016 at Island Lake should have received our spring mailing. This entire mailing is available for all of our returning families here on our website under “Island Lake Families” and then “Forms & Mailings.” In this mailing and online are our camper, parent, and activities handbooks, our medication policy, and our social media policy. A couple of months ago we mailed an Open House flyer to all of our new Island Lake families. If your child is new to ILC this summer, please return the bottom portion of the Open House flyer to let us know if you will be joining us at camp on Saturday, June 11th at 11am. We’re very excited to meet many of our new Island Lakers and their families that day. With summer right around the corner, many of you have probably started your camp shopping. If you’re really organized then hey, perhaps you’ve even begun the packing process! Be sure to refer to your Packing List and Suggested Equipment List that to assist you with this big ol’ fun task. Don’t forget, all camp forms can be retrieved any time right here on our website under “Island Lake Families” and then “forms and mailings.” Don’t forget to label all items of clothing and equipment, too. Parents, we highly recommend that you read all literature that we mail to you and post on our forms & mailings link since a majority of the answers to your questions can be found there. Our handbooks, packing lists, variety of forms posted on our website, and monthly newsletters provide a great deal of important information that will help prepare you and your children for a fantastic summer 2016. If you have any additional questions, feel free to contact us at our winter office until May 27th and at our summer office as of May 30th. Hey Island Lake Families! Wow, how did May sneak up on us so quickly? With spring in the air, excitement is building and summer 2016 is right around the corner! Yay! As of May 30th, all correspondence should go directly to our summer address at camp. If your child is enrolled for summer 2016 at Island Lake, please be sure to fill out their Profile and Transportation Forms right here on our website. All forms were due on May 1st. If you haven’t yet taken care of these forms (whoopsie! ), please do so right now. Just click the “CampMinder Login” on our homepage and enter your email address and password. If you have not yet created a CampMinder account, click “First Time Users- Create Account” and follow the directions. Attention all new Island Lake families! By now you should have received your “Spring Mailing” in the postal mail. Enclosed in this mailing are your Parent Handbook, Camper Handbook, Activities Handbook, Medication Policy letter, travel itinerary form, as well as a flyer about our online photos, videos, & emails. For all returning ILC families, these handbooks and flyers are available for you on our website under “Island Lake Families” and “Forms & Mailings.” Whether you are returning or are new to the Island Lake family, please make sure you and your children take a few minutes to sit down and read this spring mailing thoroughly, as we always add new information. Are you a returning parent who has not yet signed up your child for this upcoming summer at ILC? If so, please, please, please do not put it off any longer. Some of our bunks are now completely full. We truly do not want to turn away any of our devoted campers! It’s very difficult for us when forced to do so each and every year. Please don’t let that happen to your child. If you don’t have a registration form handy, click “Island Lake Families” at the top of the page, then click “Forms & Mailings” and print the “2016 Enrollment Form.” You can mail or fax it directly to our NY office until the end of May, after which it can be sent to our summer address at camp. For faster enrollment, you can simply scan/email the registration form to us at info@islandlake.com.